Barack Hussein Obama II aka Barack Obama is the 44th president of the United States of America. 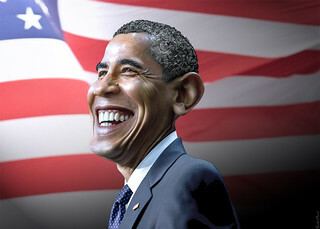 The source image for this caricature was adapted from a photo in the public domain from The White House Flickr photostream. The flag background is from the White House website.